Unmanned aerial vehicles (UAVs) can accomplish plenty of great things. But just the same, the technology can and has been used to do bad. 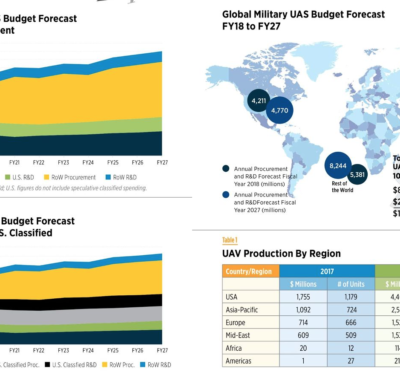 Weaponized drones are being used around the globe to inflict damage and drones have also become a serious threat when used for unauthorized surveillance. 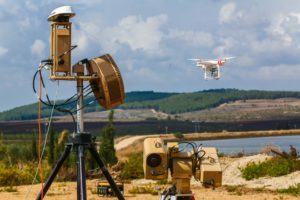 At the recent Paris Air Show, Rafael Advanced Defense Systems Ltd. of Israel unveiled Drone Dome, a radar and laser beam system for detecting and destroying drones. The drone detection and neutralization system has a range of up to several miles and causes minimal interruptions to other systems in nearby urban areas, the company said. 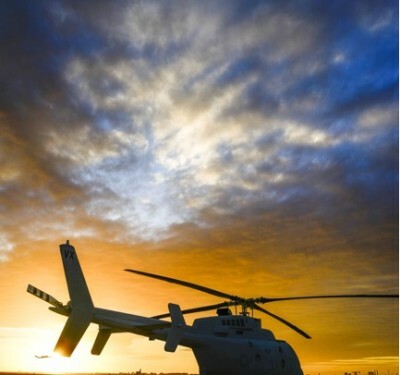 Drones and packs of drones produce complex challenges, which is why Rafael worked to develop this solution, in which the system’s radar first identifies targets and then its laser system destroys them. It also features a jamming system for disrupting communications between the drone and its operator. The Drone Dome is operational under all weather conditions, 24 hours a day. The standard system comprises a RADA RPS-42 S-band multi-mission hemispheric radar, a Controp MEOS electro-optical (EO)/infrared surveillance suite, a communications package, and the C-Guard RD jamming and NetSense Wideband detection sensor systems developed by Netline. 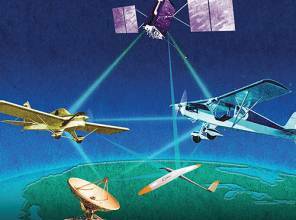 The UAV threat is neutralized by activation of directional GPS/GNSS and radio-frequency inhibitor/jammer devices, according to Rafael. The RPS-42 is a four-panel tactical air surveillance system delivering 360-degree coverage in azimuth and 90 degrees in elevation, with a detection range of 30 kilometers — including the detection of a minimum target size of 0.002 meters square at a range of 3.2 kilometers — at altitudes from 30 to 30,000 feet. The RPS-42 is designed to detect, track and classify all classes of UAV. The Drone Dome has a 360° circular coverage and is designed to detect, track and neutralize drones classified as threats flying on No-Fly zones. The company says it has a fast response time and is designed for maximum safety to friendly aircraft.